Evidence based comparisons will be offered retrospectively between the surgical techniques – both providing increased joint range of motion but that is about all they have in common. Those who demand “scientific evidence” that percutaneous selective fascial lengthening, “percs” (not tendon), SPL or selective percutaneous myofascial lengthening (SPML) are effective in cerebral palsy need to re-visit the literature. “Percutaneous” tenotomies have been around easily since mid-1800’s. When we refer to SPL/SPML/”percs”, we are not talking about ‘closed’ or minimal incision tendon lengthening. How about considering Best Surgical Practices in cerebral palsy. Focus on simple soft tissue decision-making for the most common findings and often problems. Let’s take a look at the total evidence-based “accepted” surgeries over the past 65 years through examination of orthopedic literature reviews that were published in orthopedic literature yet ignored by much of the medical and surgical professionals who advise, manage and treat issues of cerebral palsy. Typically, based on the Oxford Centre of Evidence-Based Medicine (CEBM) levels of standardized evidence, we judge the efficacy of any given procedure, our current state of knowledge and best clinical practices should be easier to decipher and select for our patients. There is an abundance of literature but what does it tell us regarding the ‘best surgical practice’ when surgical correction of soft tissue contracture needs to be addressed in cerebral palsy. Goldstein and Harper published a review ( Devel Med Child Neurol. 2001) of existing studies. Which procedures and surgeries were valid and represented best standard of care for the child with CP after the CEBM levels were applied? Following this study was a review of all papers regarding traditional surgical outcomes (from 1938 – 2001) by Koman et al (J. South Orthopedic Assoc. 2003). 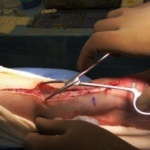 One would hope that after review of such large numbers of surgical techniques of relatively simple soft tissue surgeries that are common in cerebral palsy, that it should then be easier to say do this type of tendon surgery or that type of muscle elongation. However, it is not an easy task. Unfortunately, many decisions to lengthen a particular tendon or muscle is anecdotally driven and follow-ups, as reported in the vast amount of literature averages < 3 years. What happened to this kids when a teen or as an adult? Turns out it is not that simple and straightforward. After all, a tendon contracture, joint contracture or muscle contracture can’t be that difficult to define, identify and find the best possible surgical solution; or is it more complex that feeling or seeing a “tight tendon” or “restricted joint range” during passive or active range? Yet it is quite difficult when our current definitions of ‘spasticity’ and use of the term ‘spasticity’ is flawed and the term used if joint or muscle “tightness” is felt or observed. When the purpose of these soft tissue Achilles mechanism surgeries were applied to each of the studies over the past 63+ years using the evidence-based standards, it was found that the existing soft tissue surgeries had a level 1 or 2 evidence (a level 4 or 5 of evidence would suggest good outcome). Current, traditional soft tissue surgery being recommended is based on very poor levels of evidence to support any of them other than by familiarity and comfort of the surgeon. Clearly there is a problem when your surgeon thinks, feels or believes that you must not look into or have a surgical procedure that has been around for 30+ years, unless you come up with Evidence-based studies. And with such a high failure rate for any of the traditional techniques, why would I subject my child to an elective surgery where clinical follow up evidence reports a 80% or greater failure rate? Most traditional surgeries that are currently be recommended are at best, level 4 quality of evidence and at best, can receive an acceptable grade of C recommendation. Each child needs to be accessed regarding their functional needs. We feel compelled to assign “objective, computer generated numbers” to their gait or movement. If we can do that, we do not have to think. A computer will do that for us. We are attempting to ‘benchmark’ our patients’ collective movements which vary from one moment to the next and clearly from morning to afternoon. Clearly, kids and especially kids with a heterogeneous collection of neurological issues, called cerebral palsy, are difficult enough to ‘categorize’ when it comes to variation of functional skill sets. At a more basic level we have difficulty defining their cerebral palsy by anatomical distribution as well; some may refer to the same child as a hemiplegic while the next physician of the same specialty may refer to him as a tri- or diplegic. The evidence we need to truly seek will have to come from ‘how’ that individual child is moving and determining “what” obstacles are interfering with improved function. We must reduce their exposure to procedures that have frequent recurrence or worse, greater functional inability and deformity through “over-correction”. After we are able to see and define the true, immediate problems rather than focus on observational findings, we have a large number of non-surgical and surgical procedures from which we might choose for a specific child. The child must not be made to “fit” the procedure(s) that the surgeon simply feels comfortable doing. Select specific procedures if your child is in need. Limit those that are needed to those that make sense for optimal functional growth. There are no quick ‘fixes’. It takes years of spasticity or sensory-motor imbalance neuromotor input and asymmetrical muscle pulling for the child to move within their current “abnormal” postures and positions of comfort. 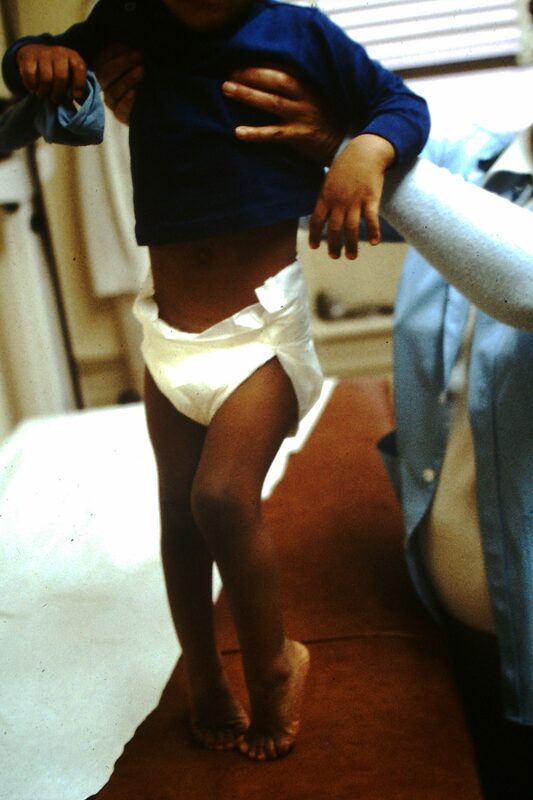 Logically regardless of the augmentative tools that are being used in the form of therapies, orthoses and surgical tools of SDR, SPML, tendon transfers, and bone surgeries the child might cosmetically look or appear better but the change in function is typically a slow process. Not simply a week or two after the invasive procedure but years where the change is gradually seen to improve.